Navajo Handmade Squash Blossom Necklace. 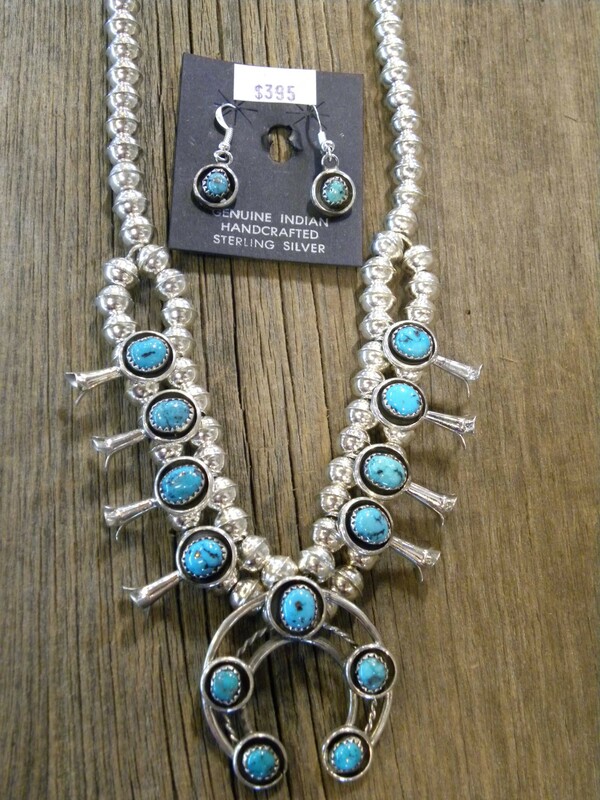 It is Sterling Silver with Sleeping Beauty Turquoise that is mined in Arizona. Comes with a pair of dangle earrings that measure 1 1/4" length. The total length is 20 1/2". The Naja is 1 1/4" Length by 1 3/4" Width. The blossoms measure 3/4" in length.